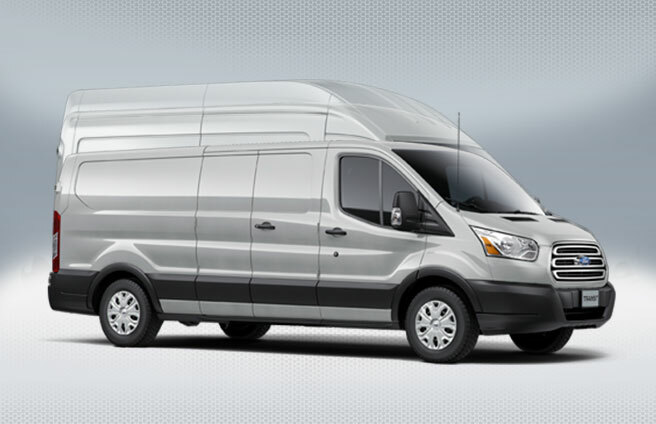 The New Ford Transit Van and Wagon offer endless configuration options including multiple roof heights, wheelbases, and body lengths to do everything from carrying a load full of people or cargo alike. The Ford Transit Wagon is widely used as a limo or people carrier. Designed for comfort and the ability to carry up to 12 passengers comfortably. The Ford Transit provides a stylish way to move small crowds. The Ford Transit Van is designed for all things not people. Unlike the Wagon it is only outfitted with two seats in the front. Defining all the potential uses for the Transit Wagon would take a while. Needless to stay the Wagon is your platform to do things like bring a mobile restoration business to carrying your deliveries. The Transit Van comes in 3 wheel bases to customize to your business needs. The roof height has three options to choose from. Choose between low medium to high depending on your needs. Van and Wagon: low, medium, and high roof options. Customizable cargo floor length and floor-to-roof height. High roof wagon allows passengers up to 6ft 5in. 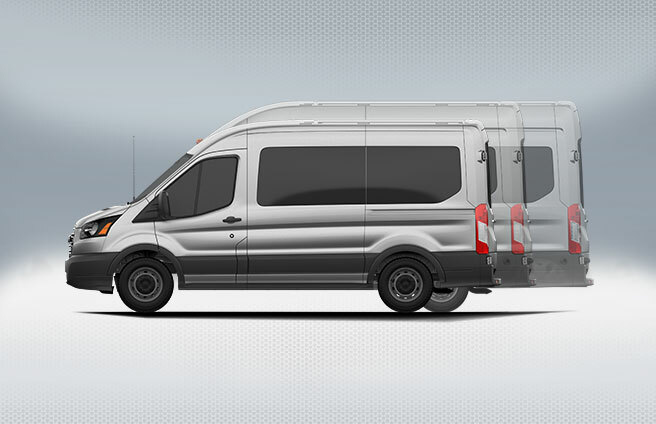 See how the Ford Transit stacks up against the competition in our commercial vehicle comparison.